Friends of Ft. Liberte organization are dear friends of mine. They are a small not for profit ministry that is connected to a church in Ft. Liberte Haiti and have been working to improve the area for 30+ years. I have traveled to Haiti many times with them…working in a make shift clinic, building an orphange, restoring a school, and bring joy and hope to a community. Those trips radically changed my life as a High School and college student and have helped refine me into the woman I am today. It was there that I learned that God loves the poor and the opressed…the widow and the orphan…and He has not forgotten them. It was there that I learned that joy and happiness isnt based on materials and things…it is firmly based on the Everlasting. My friends are sending a team this week to Haiti to bring medical supplies. They are in urgent need of funds to purchase the basic supplies including guaze, tylenol, neosporan, baby formula, etc. I can vouch that absolutely 100% of all money given will be sent to care for those hurting in Haiti. If you have been thinking about giving and just didnt know where to give, visit Friends of Ft. Liberte’s blog and give to them. They are a small organization of people just like you and me but do great work. Emily, your heart is so sweet. So glad to know you. I know how you feel about how Haiti has shaped you to become who you are. Without those experiences and those sweet faces in that picture and of course, God, i would not be who I am today. God is good and merciful. He will be glorified. But it doesn’t stop the heartbreak. 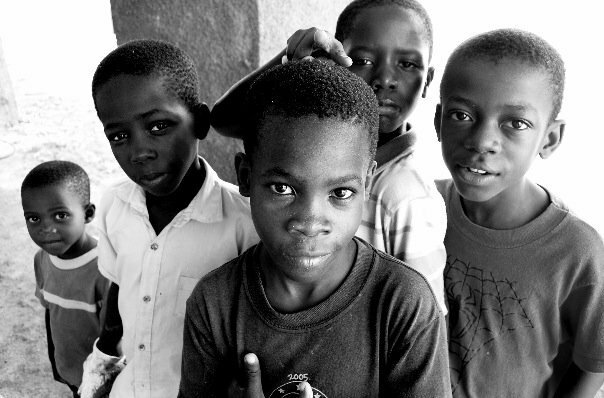 But our sweet Christian friends in Haiti remind me to cling to the hope of Christ. This world is not our home and for that I am thankful.